You are here: Home / Water Damage / 30 Ways To Prevent Water Damage In Your Home. The Definitive Guide. Maintenance is a natural by-product of owning a home and properly maintaining a home is one of the best ways to prevent water damage. It needs to be done, otherwise, you could be looking at costly water losses, repairs, and insurance claims. 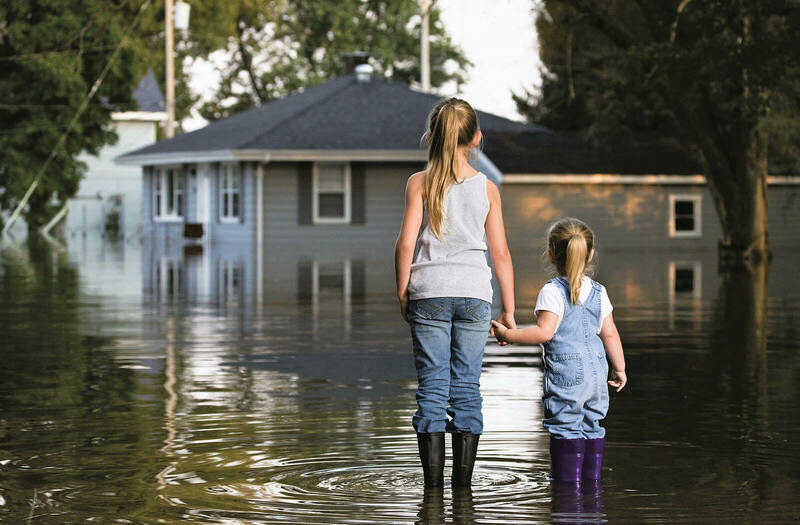 Water damage is one of the most common and costly disasters affecting homeowners, and according to the Insurance Information Institute, it accounts for billions of dollars in water loss – annually. Without further ado, here are 30 ways to prevent water damage in your home. 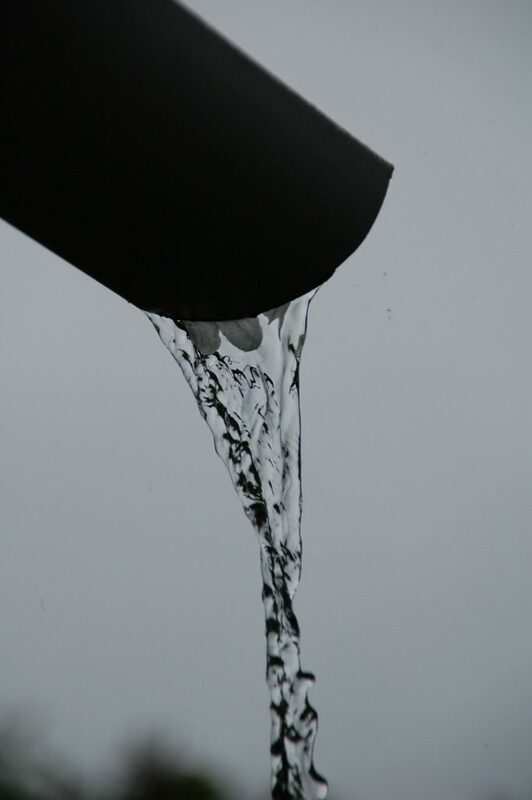 Having proper drainage for your home is the first step in preventing damage caused by rainwater and heavy downpours. Poor drainage can weaken your foundation, causing cracks in the concrete foundation, uneven settling, pooling of water, and creating pathways for water to enter your home. Over time, your gutters will fill with leaves, seeds, and other debris and eventually clog. 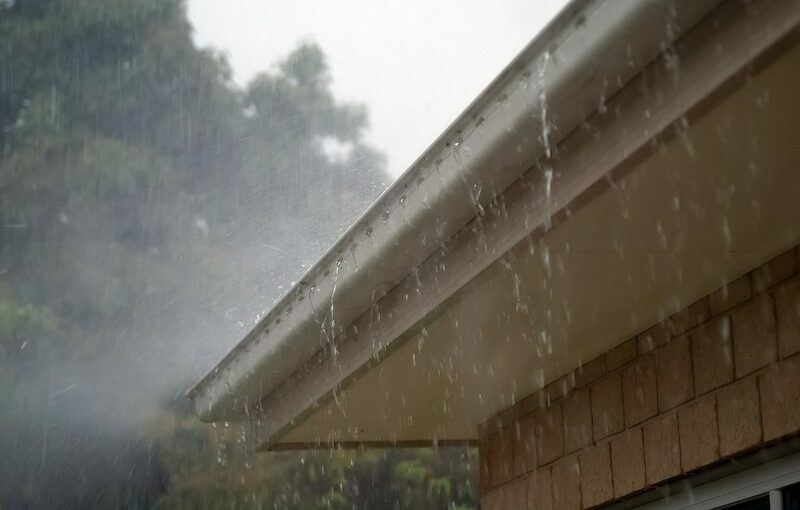 It’s important to clean your gutters routinely, preventing them from clogging and sending cascades of water down the side of your house, damaging your siding and foundation. Let’s not forget about your downspouts either. Ensure water can flow through and secure them so that direct water 5 to 10 feet away from your house. Gutter guards are attachments used to protect clogging of your roof gutters so that water from your roof can flow easily away from your home and not pool. If your gutters are consistently clogging with leaves, seeds, and other debris, consider installing some gutter guards. They’ll help prevent your gutters from clogging and rid yourself of the messy (and sometimes stinky) job of needing to clean them out constantly. This is pretty much a no-brainer, right? Your roof is your home’s first line of defense against Mother Nature, and it’s constantly being bombarded by the elements. Your roof is your home’s first line of defense against Mother Nature, and it’s constantly being bombarded by the elements. If you have a serviceable roof, it’s a good idea to get up there and inspect your shingles or tiles and make sure none are damaged, loose, or missing. It’s also important to properly maintain your roof, especially if you have any algae, moss, or lichen buildup; consider having your roof professionally cleaned. Add soil around your foundation to create a downward slope away from your home of at least 6 inches covering a 10-foot span. This slope will encourage water to flow away from your house and help keep water from getting down right next to your foundation, where it could weaken the foundation of your home, causing walls to lean, cracks in the masonry, and create a pathway for water to enter your home. If you have a crawl space, keeping water away makes sure excess water doesn’t pool underneath your floor, creating a damp environment which can encourage the development of mold, rot, mildew, and even insects. A beautifully maintained landscape with thriving shrubs can drastically increase your home’s curb appeal. Just make sure to minimize landscaping near any utility pipes and if necessary, remove any trees or shrubs that have become too big. Some plants and trees, like weeping willows or silver maples, have pretty invasive root systems. If you’re not careful, they’ll grow right into your sprinkler system, drainage field, pipes, and septic tanks. Plan before you plant to keep roots away from any water lines, planting such trees at least 20 feet away from your home or opt for a smaller species which usually only need about 10 feet of clearance. 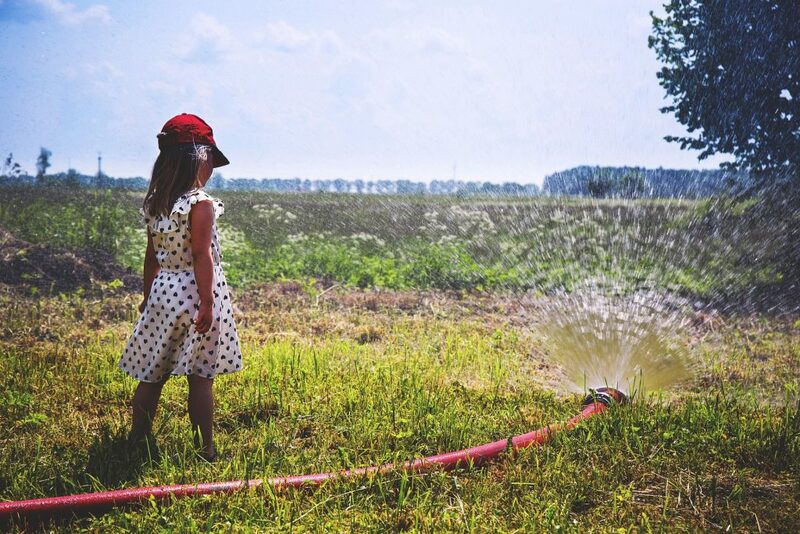 Make sure your sprinklers and irrigation systems aren’t pooling any water near your foundation or damaging the siding of your home. Live in an area with freezing temperatures? Make sure to turn off and drain any outside faucets or hoses to protect against any water freezing inside of your pipes which can cause them to burst. Concrete cracking is inevitable, but that doesn’t mean you should do nothing about it. If left untreated, a tiny crack can not only spread but become larger as well; this can become even worse if you live in an area where water can freeze. You can repair most cracks less than 1/4″ by applying concrete caulk and for larger cracks, use a concrete patch. Just clean out the crack with some high-pressure water, let it dry, and apply the caulk into the crack. You’d be surprised how many homeowners have no idea where their water main is located. And knowing where your water main is located is the first step in preventing or minimizing any water damage disaster. Sometimes, no matter how much you prepare or implement preventative measures, water damage can wreck havoc either from natural disasters or burst pipes that you have no control over – shutting off water to your house is how you’ll prevent any further damage. It’s important to inspect and maintain your home appliances regularly for any hidden water leaks. Leaking or malfunctioning appliances account for a significant portion of water damage claims. Consider installing floor pans under your appliances. While they won’t protect your home from a catastrophic leak, they can help prevent any damage from small or slow undetected leaks. Washing machine leaks are amongst the most frequent causes of water damage loss for homeowners. Replace washing machine hoses at least every five years and consider using a flood safe hose. Replace your hoses regularly could avoid a nasty mess and expensive damage. If you have any old, brittle, bent, crimped, or leaky washing machine hoses, you should replace them immediately. If your refrigerator has an ice maker or water dispenser, be sure to double check the water line hose between the fridge and the wall for any leaks. And again, consider upgrading to a flood safe hose. Be sure to inspect your water heater at least once a year, keeping an eye out for any slow leaks, water pooling, or any rust or corrosion. If you do spot any issues, be sure to have your water heater serviced by a professional as soon as you can. Older units can develop faulty water outlets and drain valves. Better yet, consider upgrading to a tankless or on-demand water heater and save on your energy bill. Another major culprit in water damage claims is your air conditioning unit. It’s a case of “out of sight, out of mind.” Air conditioning units are usually tucked away in a dark closet somewhere in the house that you rarely ever check, even worse when they’re located in the attic. Ensure you regularly inspect and properly maintain your air conditioning unit for any signs of leaks or water damage, especially during the summer months when your unit is working overtime. 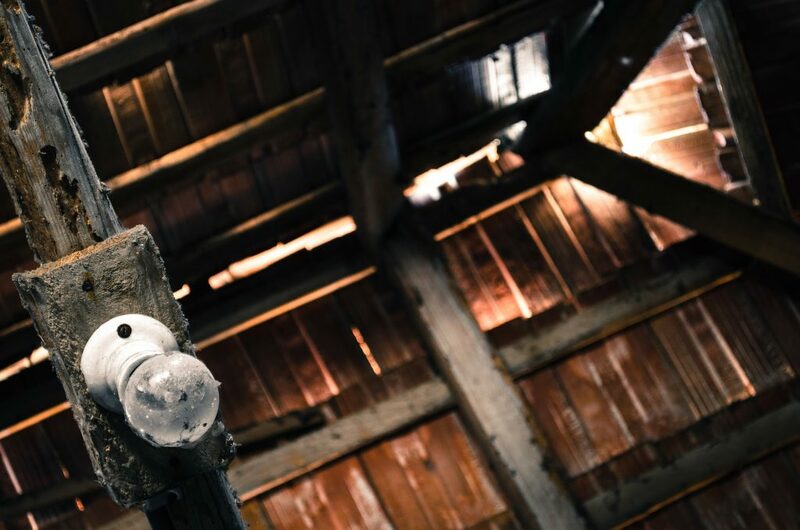 It’s another case of “out of sight, out of mind.” Most homeowners never step foot into their attics, and signs of water damage in the attic may not sure until it’s too late, especially if it’s a slow leak. The issue with water damage in your attic is that it’s the prime environment for mold growth. Water saturates the wood and insulation causing mold to grow and spread – not only causing water damage to your home but now you have a health hazard that you need to deal with. Another scenario is when water pools in the attic until your ceiling can’t handle the stress anymore and comes crashing down. A routine check of your attic is definitely worth your time. Rain and snow can easily invade your home through badly fitted windows or doors, especially in conjunction with strong winds blowing against the side of your home. 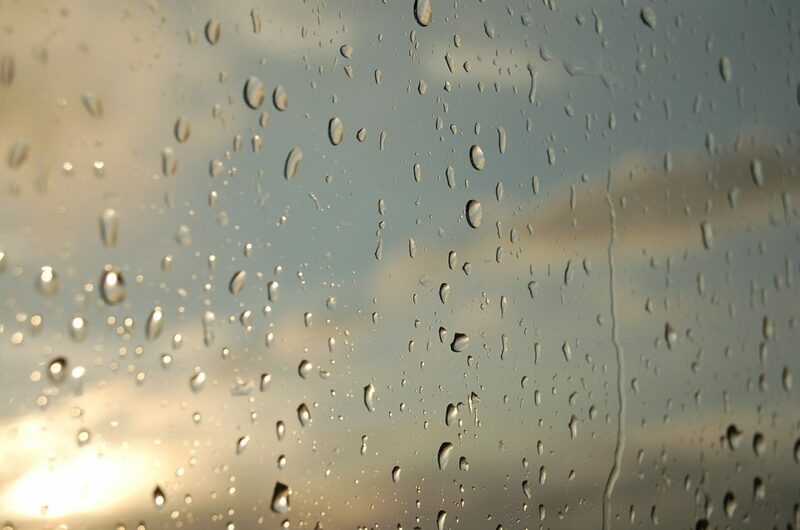 Water seepage inside windows can damage your window frames and surrounding drywall. Fix this by applying caulk on both sides of the window and use weather stripping to seal windows and doors that aren’t closing tightly. Do you live in an area with frequent storms? Consider installing storm windows to provide an additional layer of protection against wind and rain. Properly sealing your windows and doors will not only help keep water out but can also increase the power efficiency of your home. It’s best to routinely check the hoses, faucets, and sinks for signs of any leaks. Be sure to check underneath the cabinets and keep an eye out for any water stains. You can use waterproof silicone caulking to seal up any leaks you find before they become worse. Your showers and tubs are constantly being exposed to water, there’s obviously no way around it. Usually built with tile and glass enclosures, they do a pretty good job of draining water and preventing any water flow outside of the designated wet areas. Over time, the caulking or grout between tiles can break off or become damaged. Be sure to repair these grout lines and caulk wherever necessary to prevent water from permeating the tile and damaging the underlying drywall. Sump pumps come to life during storms and this is probably the worst time to find out yours isn’t working properly. Ideally, you should test your system at least once a year and during heavy storm seasons, ideally. Check any and all accessible pipes for any cracks or leaks. If you find any damage, be sure to have it repaired immediately to prevent even more costly repairs in the future. Odds are, you’ve probably heard this before. Avoid pouring grease (hot or cold) down your kitchen sink; it also won’t matter if you flush it with hot or cold water. Grease can congeal and cling to your pipes, causing severe damage and blocking water flow. The safest way to dispose of grease is in an empty can and let it sit or put it in the refrigerator, and once it hardens, you can toss it in the trash. Clogs are inevitable and are going to happen, no matter how clean you are. 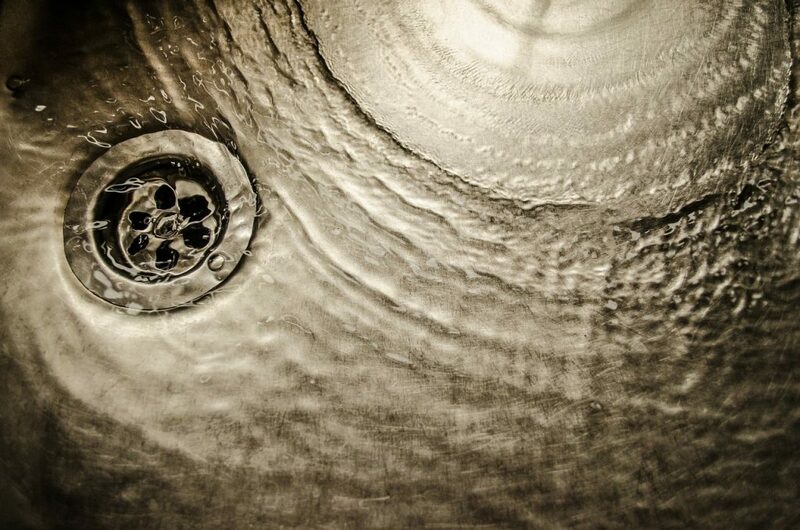 Chances are you’ve used a powerful chemical drain cleaner to get the water flowing again. However, as convenient as they are, these chemicals can also eat away at your pipes, setting yourself up for leaks. Consider owning a drain snake, they’re pretty inexpensive, and they’re a great solution to clear away any clogs. It’s important to fix a leak as soon as possible; any continuous leaks can lead to mold and mildew buildup, and even dry rot. We all know how easy it is to say “Yeah, I’ll get around to that.” And then you don’t. Save yourself a headache and take care of the leak right away, some standard homeowners insurance policies don’t cover water damage from lack of maintenance. With so many water pipes hidden behind walls and floors, you might not know there’s a leak until the damage is visible. Keep an eye on your water bill, if you see it starting to creep up or receive an unusually high bill, it could be a sign that you may have a leak somewhere in your home. Be sure to turn off your home’s water supply when you go on vacation. Some of the most common causes of water damage in the months of summer are when families leave on vacation. Their homes empty for days, weeks, and sometimes even months. If there was a leak, even a small one, it’d be left unchecked and can cause a substantial amount of damage by the time someone ever notices. It’s usually a good idea to test the water pressure in your home at least once or twice a year as part of a home maintenance checklist. It’s quick and easy and all you really need is a simple pressure gauge. Too much water pressure in your home’s plumbing can cause pipes, flex lines, or hoses to burst, resulting in catastrophic water damage. A pressure release valve can protect against any increased pressure caused by any freezing pipes and help prevent your pipes from bursting. Water Alarms work similarly to smoke alarms. When the device detects water in a specific area, an alarm is triggered. Basic leak detection devices are relatively inexpensive, ranging from $10-$30 each and require a 9-volt battery. You can place them directly on the floor or mount them in a variety of locations: in the basement, the attic, near your air conditioner, refrigerator, dishwasher, washing machines – basically anywhere in the house that’s susceptible to water damage. Water flow monitoring systems protect your entire house by measuring the flow of water into your home, directly attaching to your water main. In the event that it detects continuous water flow that isn’t consistent with your everyday use of household appliances, it stops the flow of water into your house automatically. 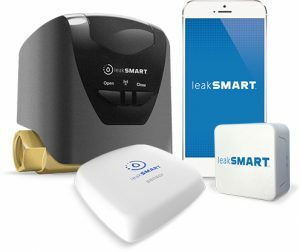 Leak Smart offers a complete home water leak protection system that monitors your home 24/7 for any water leaks and temperature changes, automatically shutting off your home’s water supply when a leak is detected in less than five seconds. The really neat thing is that this system is truly “smart”, allowing you to manage your home’s water supply remotely via their leakSMART app. Have any of these preventative measures help you avoid or mitigate a water damage emergency? Let us know in the comments.